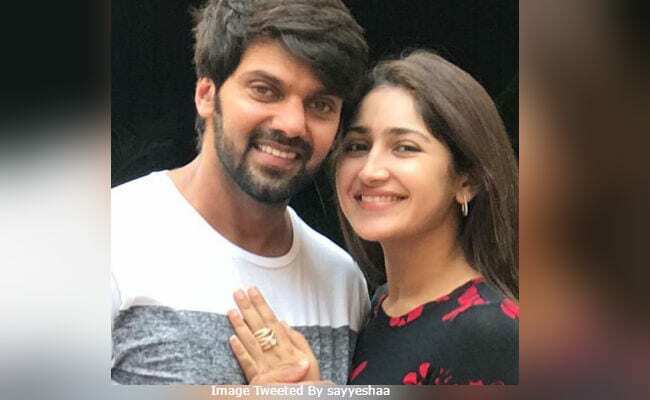 Web Desk: Grandniece of Saira Bano and Dilip Kumar, actress Sayyeshaa Saigal, has tied the knot with Tamil actor Arya as per Muslim traditions at Hyderabad’s Falaknuma Palace on Sunday. 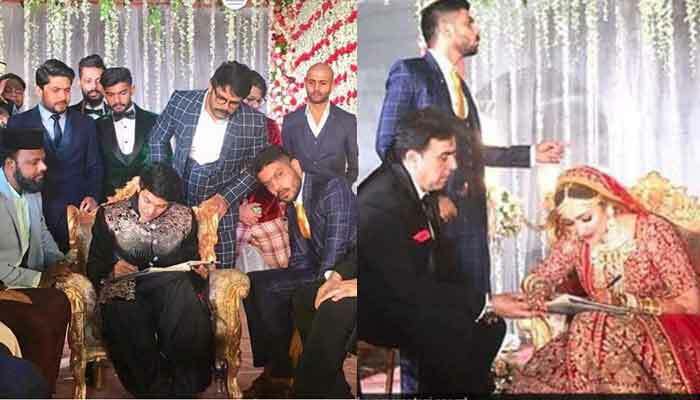 The marriage took place in the presence of family and close friends. The bride picked traditional red and golden lehenga with bridal jewellery. 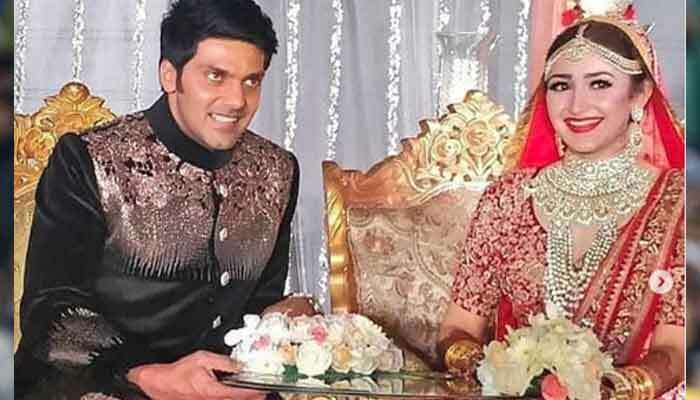 The bride can be witnessed on the stage with her family including Saira Bani, who looked graceful in a black saree. 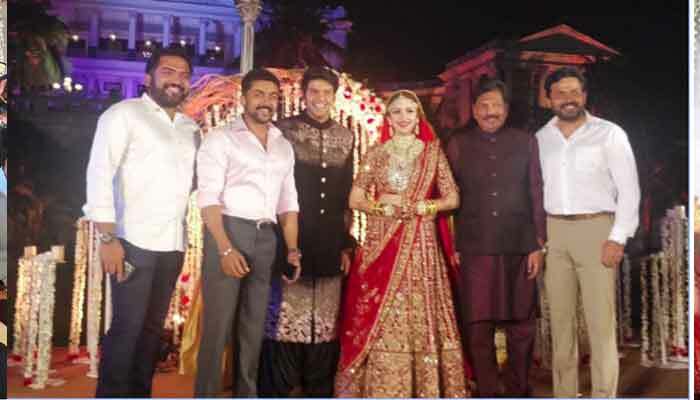 The wedding ceremony was preceded by a sangeet and a pre-wedding bash in Hyderabad’s Taj Falaknuma Palace.